MUST SEE! 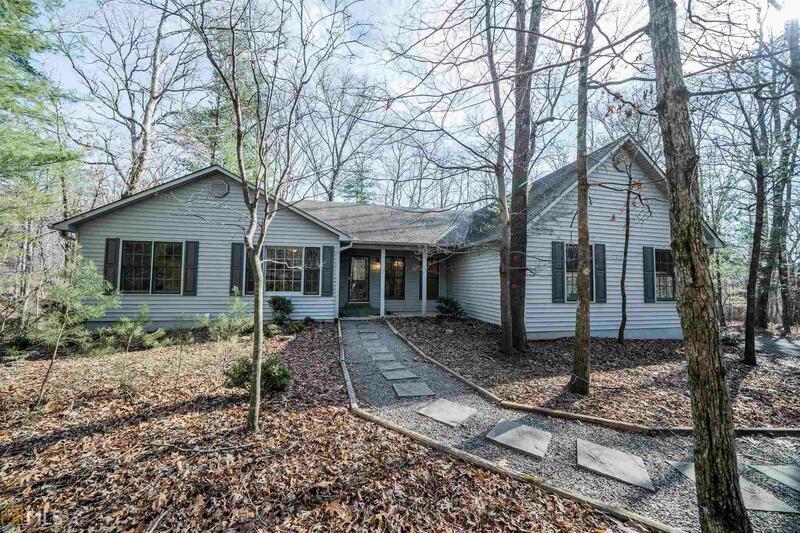 3BR, 2.5 BATH RANCH WITH COVERED PORCH ON NEARLY LEVEL LOT IN GATED COMM OF BENT TREE. FRESHLY PAINTED! OFFICE, FRML DR & GR W/STACKED STONE FP. EAT-IN KITCHEN W/WHITE CABS, WHITE APPL INC. DBLE OVEN. HARDWOODS IN KITCHEN, BREAKFAST RM, 1/2 BTH. MSTR STE WITH HIS/HER VANITIES, W/P TUB, AND SEP TUB/SHOWER. 3 CAR SIDE-ENTRY GARAGE. SCREENED IN BACK PORCH PLUS DECK FOR GREAT OUTDOOR LIVING. GAS FORCED AIR HEAT (PROPANE) AND AC. 15 KW WHOLE HOUSE AUTOMATIC GENERAC GENERATOR SYSTEM. VINYL SIDING W/ WOOD TRIM & THERMO PANE WINDOWS. Directions: I-75 To I-575 North To Route 515, Then Right On Route 53, Then Left On Burnt Mtn Rd, Rt On Cove Rd, Lf On Bent Tree Dr (Follow Bent Tree To Gate Entrance).